Meal #3. 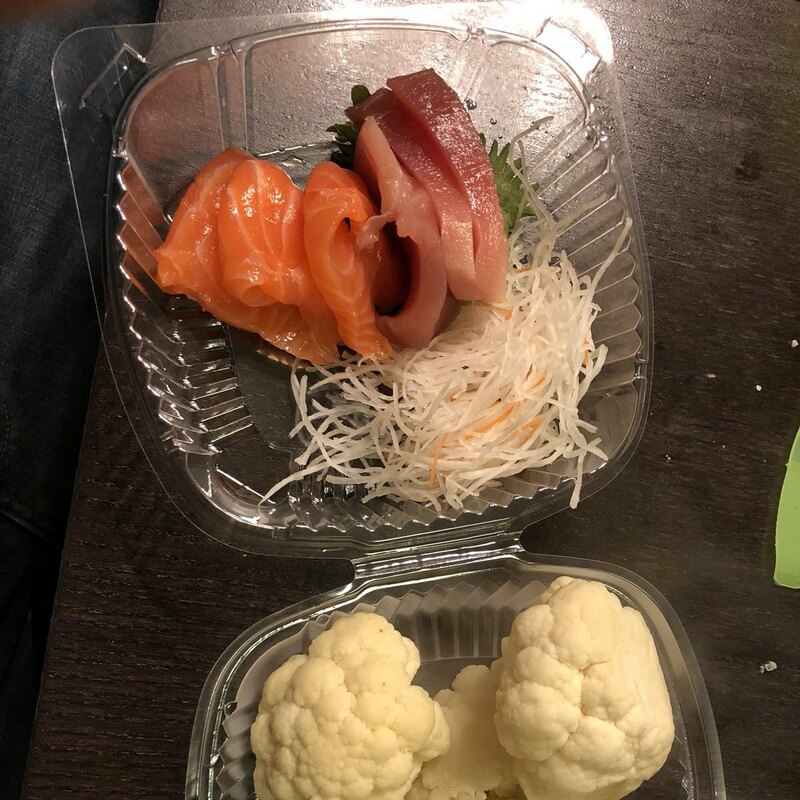 Sashimi from the local amazing sushi place, plus steamed cauliflower. No wasabi or soy sauce of course, but the sashimi doesn’t need it anyway. Cauliflower is an odd pairing but I can’t eat anything that would actually be appropriate with sashimi.